On November 7, 2015, Crown Prince Frederik and Crown Princess Mary hosted a gala dinner at Christiansborg palace in Copenhagen, Denmark. 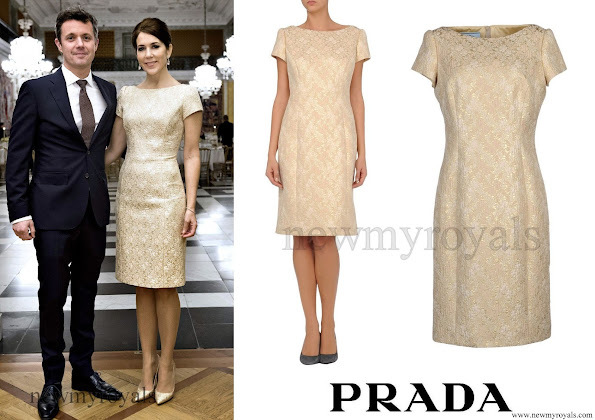 The Crown Princess wore Prada Short Lace Dress in Beige. The Prada Short Lace Dress retails for €590 on the "YOOX EU" website.